Who knew Murphy could read your mind? 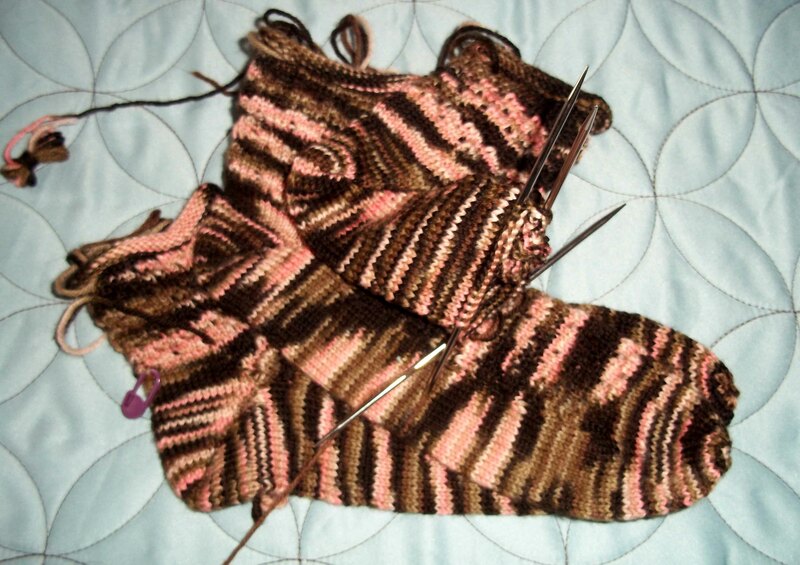 Once upon a time, there was a knitter named KniftyBits. She held a ball of sock yarn in her hand. Pretty soon, she came upon an idea. She sat down and started to knit. She knit and she knit until she was done. And then she tried her sock on. “This sock is too tight!” she exclaimed. So she knit a second sock, with more stitches and a longer heel.